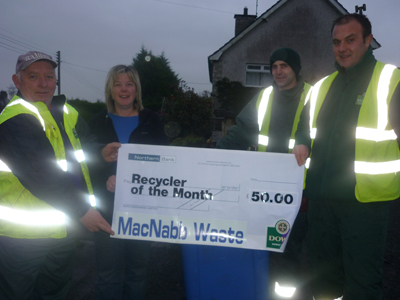 CONGRATULATIONS go to Zoe McTeer from Ballynahinch who is Down District Council’s Recycler of the Month who wins a £50 prize courtesy of McNabb’s Waste Management. Zoe was congratulated by Down District Council’s Assistant Education Officer Lucinda White for having a flawless blue bin with no contamination. “Although people in the district are getting increasingly better at recycling there are still some unwanted items which we cannot recycle that slip through the net. These include takeaway food boxes as they contain dirt and grease, paper tissue, plastic bags, polystyrene and food wrappers. “The Council’s Household Recycling Centres, which are there to provide separate containers to recycle over 25 different materials, are located at Bann Road, Castlewellan, Cloonagh Road, Downpatrick and Lisburn Road, Ballynahinch. “They are open all week, Monday to Thursday 9am – 7pm, Saturday 9am – 5pm (closes for lunch 1pm – 1.45pm) and Sunday 12pm – 4pm. Anyone who is unsure about what to put in their blue bin should contact Environmental Services who can post out detailed information. 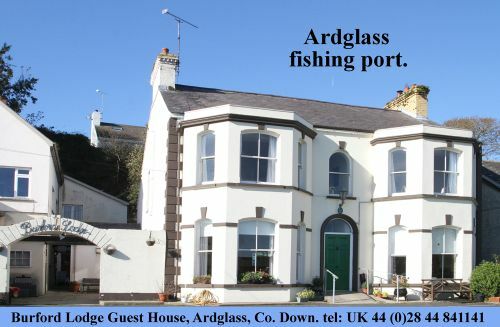 Environmental Services telephone number is 028 4461 0800.